is British born Audrey Beharie who is of Jamaican/Indian and Cuban extraction. ​London Academy of Modeling, in London, UK by renowned celebrity modeling coach, writer and body language expert, Judi James, who has trained some of the big names in the industry including the likes of supermodel, Naomi Campbell. As a child growing up in the 60s in London, Audrey suffered tremendous amounts of discrimination, bullying, intimidation and self-esteem issues that she dealt with on a daily basis. Being beat up, verbally abused, chased, spat at and physical altercations were part of Audrey's everyday life. However, although still a child, Audrey made a concerted effort NOT to allow these circumstances to otherwise fashion the way she looked at life, the beauty of creation and the "great" things about being alive! She channelled all the "bad stuff" that was going on around her and converted them into "great, inspiring, positive and beautiful horizons" and created a place where she could focus on doing "great things" for the future! 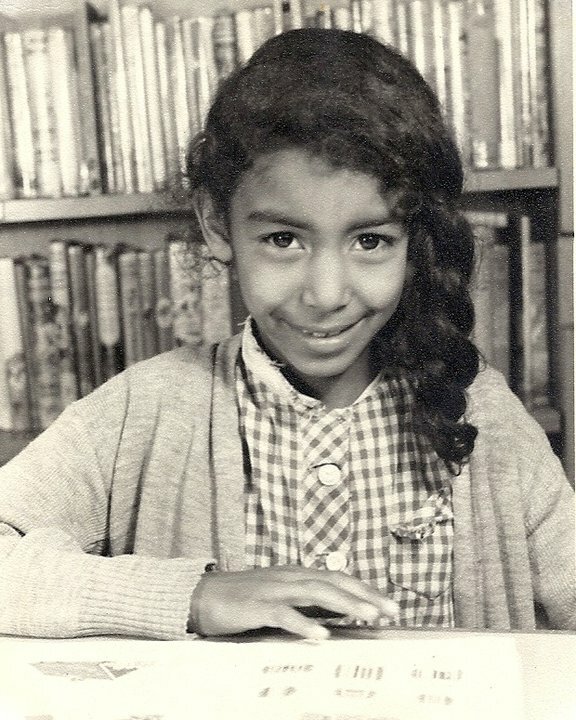 Even at a young age, Audrey was always a "deep thinker" and through the anguish, she refused to become a product of the scenario and situations that she could NOT change due to prejudices, victimization and violence that she had to endure and managed to maintain an optimistic, bright and upbeat disposition throughout to motivate her to do "great things for others". "you never know what angels you will entertain in life!" And then, when Audrey was 20 years old, she was approached by a Pageant scout at an event and told that she should enter the Miss Afro West Indies Pageant which was a prestigious event held in London, UK. Audrey, a very Plain Jane who NEVER wore make-up and wore her hair back in a simple ponytail, looked at the gilt card given to her and tossed it to the ground! "Me? In a PAGEANT? ​That was just to silly for words!" she has said. However, unbeknown to Audrey, her friend had secretly retrieved the card from the ground as she had somehow seen Audrey's natural potential .... she had plans of her own! She contacted the Pageant Director, PAID the Application Fee and then went ahead with the arduous task of encouraging and TELLING Audrey that she has actually ENTERED her into the Pageant! Eventually, after much persuasion and encouragement from her friends and family, she agreed to participate and.... the rest is history! After winning the coveted “Miss Afro West-Indies Pageant” in 1981, when we was just 21 year old, everything drastically changed. The Miss Afro West Indies Pageant allowed Audrey to discover the wealth or enormity of being confident in our own self and appreciate the development of her self assuredness. The prize package that Audrey was awarded a cash $3,500 (which was a lot of money in 1981! ), a 1-year contract with the Pageant organization, an all-expenses paid trip to Barbados and Nigeria, Africa in the capacity of "Miss Afro-West Indies 1981", a plethora of sponsored prizes and the incredible opportunity to train at the prestigious modeling and finishing school - The London Academy of Modeling, in London, UK which specialized in grooming young ladies in all aspects of etiquette, social graces, deportment and social/interpersonal skills. The Academy was run by renowned celebrity modeling coach, writer and body language expert, Judi James, who has trained some of the big names in the industry including the likes of supermodel, Naomi Campbell. So, armed with expert coaching from Judi, her Pageant Chaperone Claudina, and the entire Page together with mentoring and guidance from the London Academy Of Modelling, her confidence soared! 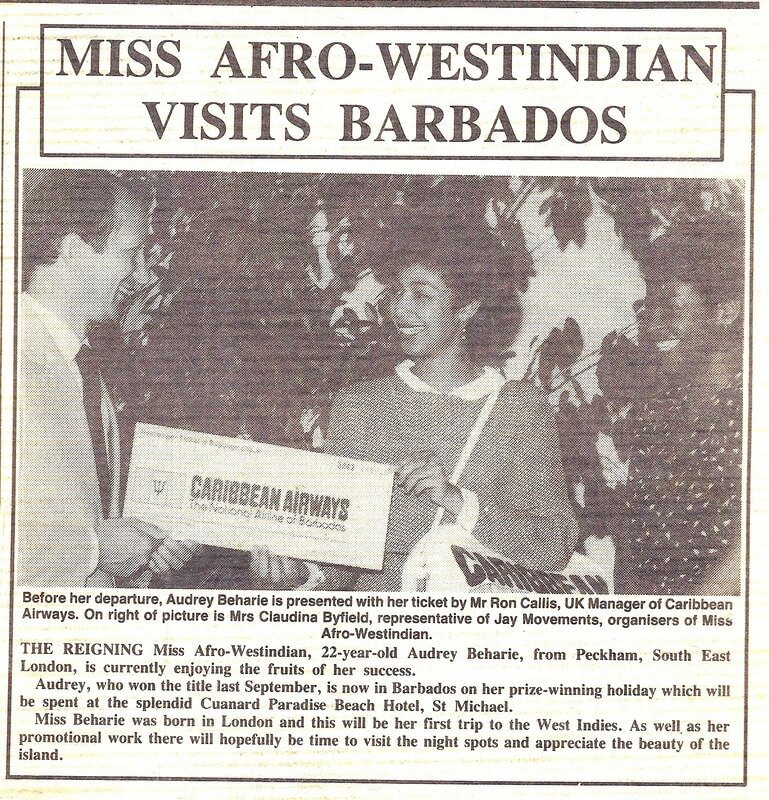 Being "Miss Afro-West Indies" allowed Audrey to have the opportunity to traveled throughout the UK and the West Indies, and share her experience with all the women that she met. And, in 2005 she launched “Miss Teen Dream” in the UK in an effort to enlighten, encourage, enrich and embrace the unique qualities within young girls from all walks of life which was a resounding success and changed the lives of many of their contestants! 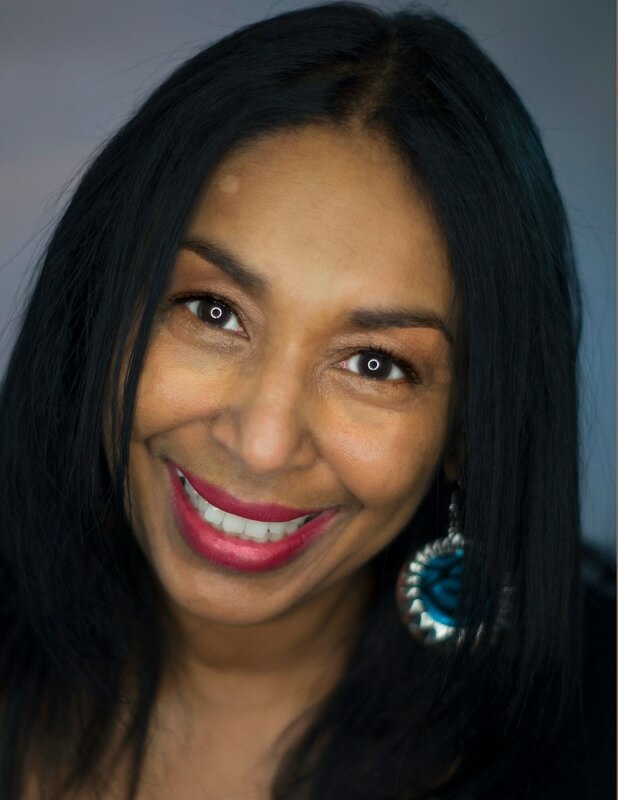 Always allowing her faith and trust in God to guide her with all decisions, Audrey has over 30 years experience in the music and entertainment industry and a stellar reputation as a singer, songwriter, producer, model, vocal/performing arts coach and event manager and has made it her mission over the past 20 years with her company, B.R.E. PRODUCTIONS INTERNATIONAL, INC which is the home of VOCAL ZONES, to nurture and guide talented individuals to create their entertainment persona without having to compromise and also the FASHION 4WARDZ MODEL OF THE YEAR COMPETITION! This has been the essence of "Audrey" to this very day! perception of what life is about! To Contact Us & For More Info Click Here! 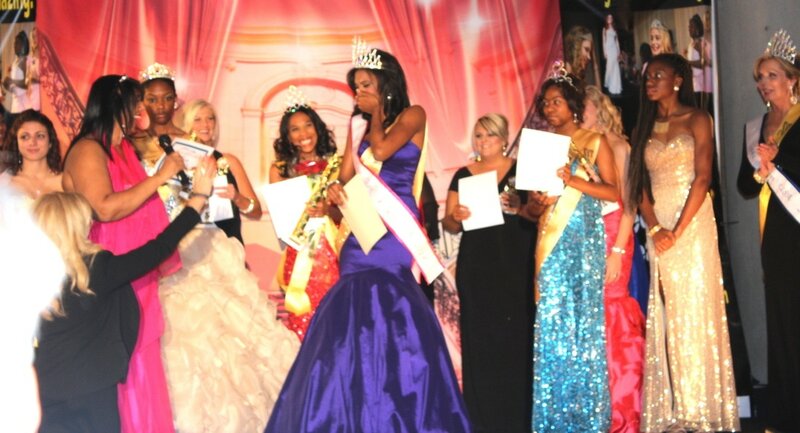 The MISS TEEN DREAM USA Competition is based on Natural Beauty, overall stage presence and personality. 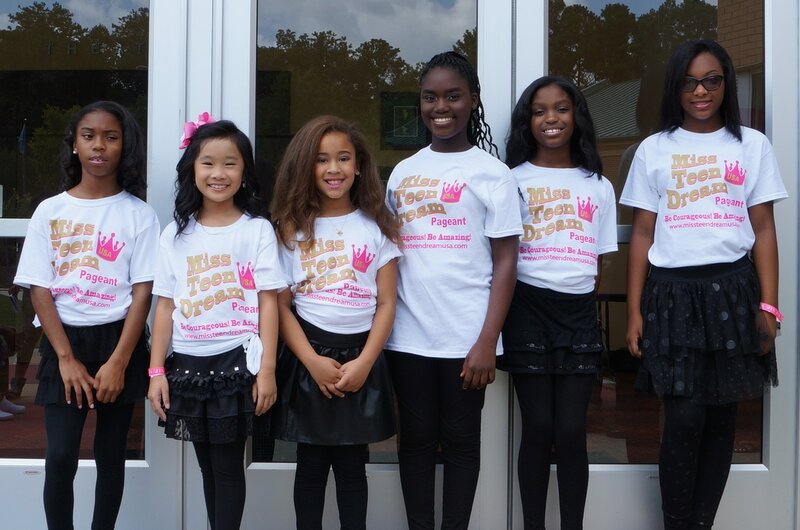 ALL CONTACT with the MISS TEEN DREAM USA PAGEANT must be made by a PARENT or LEGAL GUARDIAN for any girl wishing to take part in the Pageant and correspondence will only be made with said parent or guardian. Miss Teen Dream USA, its directors, associates, or any other personnel associated with the Pageant will not be held responsible for the loss of personal items, injury, theft, or illness. We will have permission to use the photographs taken at the Pageant for publicity, promotional and for use on our website, publicity and any other media and promotional material. Judges decisions are final. Any Contestant, relative or guest displaying sportsman-like, crude or unsavory behavior will be disqualified and monies will not be refunded. All use of photography or video filming is prohibited by any person in attendance. All video and photography will be reproduced in a reputable and discerning and refined manner. All returned checks will incur a $35 fee. On completing this online Registration, you are agreeing to the regulations and agreement of MISS TEEN DREAM USA and will do what is necessary to observe our statues. In the event that this is not adhered to, then, unfortunately, the Finalist will be disqualified and any prizes awarded will be returned forthwith to THE MISS TEEN DREAM USA PAGEANT immediately. You also understand that all Registration and Additional Optional Category Fees are NON-REFUNDABLE should you wish to no longer take part in the Pageant. Your personal information supplied herein will not be sold, transferred or shared with any outside organization.